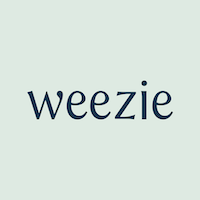 Weezie towels are premium, long-staple-cotton towels sold direct to consumer. This No Middleman favorite currently sells high-quality, hypoallergenic bath towels, bath sheets, hand towels, makeup towels, and washcloths. Weezie towels start at $15 each (as of the day of our review), with extra savings to be had in their starter pack bundle. Shipping is free on the first order, and on all orders over $200.